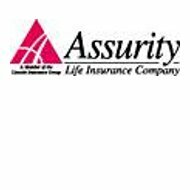 Assurity Life Insurance Company was not officially incorporated until 2007, but the three companies that merged to form Assurity have individual histories dating back to the 1800s. With more than 120 years in the insurance business, Assurity has built a solid reputation for providing life insurance, annuities, and other products to America’s heartland. The company is based in Lincoln, Nebraska where it has been ever since its incorporation. You can search online for health insurance quotes by entering your zip code now. Assurity offers quite an extensive list of personal and business insurance products. In the personal category, you can find term life insurance, whole life insurance, several different types of annuities, disability insurance, and critical illness coverage. Their business lines include all of the same products with the exception of annuities. Specialized accident coverage and cancer coverage applies to their business products offered through employers rather than on a one-to-one basis. Although Assurity does provide health insurance of sorts, it is not the same as standard HMO or major medical policies. Their health insurance coverage is designed to be secondary to your primary policy. In other words, Assurity’s health insurance only covers those things that your primary policy will not. Assurity policies are also specific in the types of things they cover as demonstrated by their cancer expense product. Using the cancer expense policy as an example, patients would make any co-payments at the time of treatment and leave the remainder of the billing to the healthcare facility or doctor. When the benefits provided by the primary policy are exhausted bills would then be forwarded to Assurity. They would then pay those bills until the limits of that coverage had been reached. After that, individuals would need umbrella coverage or a third health insurance policy to pay for the remaining costs. When it comes to customer service Assurity customers have a couple of options. The first option is to utilize one of their toll-free numbers to speak with a company representative. Their company website lists three different numbers for the following departments: Assurity Life Insurance, Assurity Direct, and Assurity at Work. Each of these three departments covers specific areas of the company business. Your policy documents should provide you with the proper department and number to call. Your second method of customer service contact is to send an e-mail to the appropriate department. However, for your protection Assurity insists that all e-mails be sent through their secure server. In order to do so you must log onto the website, create a secure e-mail account, and then access that account. From there you are provided with an e-mail form on which you can submit your questions or inquiries. At first glance, it would appear that Assurity Life Insurance offers products in all 50 states. However, if you dig a little deeper you will find by using their agent locator tool that New York and the District of Columbia are excluded. This is understandable given the fact that New York is one of the most highly regulated states in the union for everything, not just insurance. Regardless, the agent locator tool will provide you the names and contact information for agents in your area. You may search either under personal lines for business lines of insurance. The Assurity website currently lists two types of careers open for employment. The first is a sales position, which entails direct sales to both individual and business customers. It appears from their website that you can be an exclusive Assurity Life sales person or a local agent approved to represent the company. The careers section of their website provides information for both types of sales persons. Health insurance rates are available online by simply entering your zip code now.